MEXICO CITY (CNS) — An Archdiocese of Mexico City editorial called on the Mexican government to finally determine the fates of 43 missing students and said the often-questioned official investigation was unconvincing, demonstrated the worst shortcomings of the country’s judicial institutions and deepened social discontent in the country. The editorial followed the April 30 departure from Mexico of experts from the Inter-American Commission on Human Rights, who described the official investigation as sloppy, incomplete and dependent on testimony obtained through torture. The students were attacked Sept. 26, 2014, by police, who allegedly acted in cahoots with criminals, as the students commandeered buses in the city of Iguala to travel to protests in Mexico City. The official investigation — called “The Historic Truth,” by a former attorney general — insists the students’ bodies were burned in an all-night inferno in a garbage dump. Outside experts, who were invited in to clear up the case, found no evidence of a bonfire, while none of the remains discovered in the dump matched the missing students. The experts also said the federal government impeded their investigation by failing to fully cooperate, refusing access to people with potential information — such as soldiers, who were aware of the attacks on the students, but did not intervene — and not condemning a campaign of harassment in the pro-government press. The Mexican government stands by its original investigation and says it provided everything the experts needed and wanted and worked closely with them. Still, no federal officials attended the public presentation of the final report. 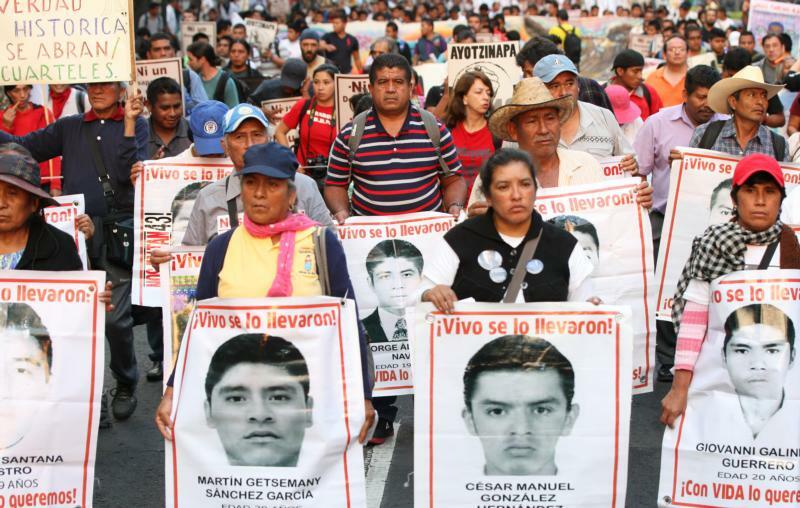 The missing students’ case has caused consternation in Mexico and attracted enormous international attention. It also sent President Enrique Pena Nieto’s popularity plunging as he was slow to respond to tragedy and only appeared in Iguala some 500 days after the attacks — in an event celebrating the military, warning of political instability and omitting the victims’ families. Analysts and some close to the victims’ families say they saw attempts at subtly undermining the investigation — for unknown reasons — and trying to turn public opinion against the outside investigators. “Instead of confronting them and saying, ‘You’re not allowed to investigate,’ the government tactic has been to discredit them [and] saying that these [findings] are inventions, that they’re inept, that they doesn’t do good work,” said Ilan Semo, political historian at the Jesuit-run Iberoamerican University.